We are dedicated to building a sustainable independent public-interest news organisation that can push for greater accountability and transparency, without paywalls or advertising. That means we need the support of people who think that it’s worthwhile having such an organisation around. We recognise that our appeal is slightly narrow in its focus, but part of our ultimate goal is to build a community of people who share our belief that being informed is a key part of civic and public life, and this kind of work requires public support to operate. We’re also committed to total transparency in releasing our own accounts, and showing our supporters where their donations go, and how they are directly contributing to independent public-interest journalism. Please consider becoming a donor if you think you can, but if not, stay tuned anyway because it’s all kicking off from here. You can subscribe for €25, €50, €100 or €500 per year. You can also keep up to date with our work by following our campaigning work here on the blog as well as Twitter and Facebook. 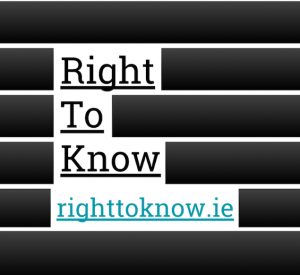 To see the stories that come FOI-sourced investigative work, go to TheStory.ie and follow TheStory.ie’s Twitter.